As Recorded by Gordon Goodwin's Big Phat Band. Composed by Gordon Goodwin. Jazz Ensemble; Performance Music Ensemble; Single Titles; SmartMusic. Gordon Goodwin Series. Funk; Jazz. Part(s); Score. 86 pages. Belwin Music #00-30653. Published by Belwin Music (AP.30653). 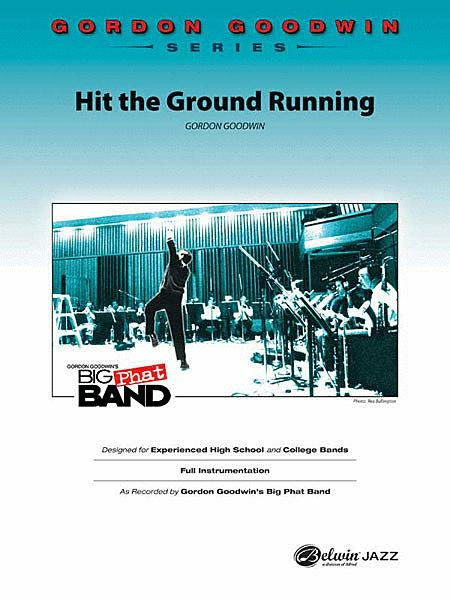 It's funky with all the Big Phat Band attributes, and it's fairly tough to play, but hey, it's Gordon and you know it will be a hot chart . . . if you have the horses. The opening lick for piano is really hot. The rhythm section will stay busy and it includes an auxiliary percussion part. Solo space is for alto, tenor, bari, trumpet and trombone. Open with this chart! (4:55) This title is available in SmartMusic. I love this piece! its a great arangment. Im a bari player in a high school jazz band and this is a tough piece for some of our well equiped players. The runs are failry difficult. But fun song to groove to!